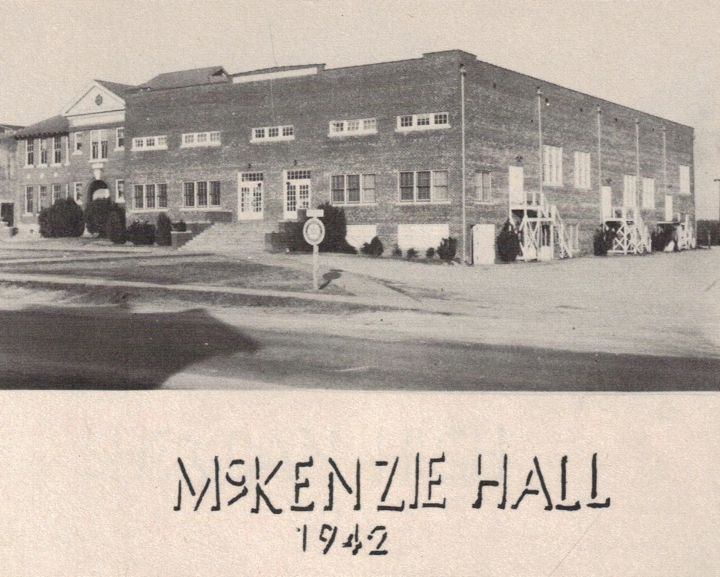 McKenzie Hall was built in 1942 with the aid of high school boys. Downstairs was the first cafeteria for the school. In the front was located the Superintendent’s offices and accounting department. The stage was on the east side and there were two classrooms on either side and a balcony on the west. In the decades following construction, it was the site of speeches by U. S. congressmen, governors, and even a sold-out Jerry Lee Lewis concert in 1977. In 1983, Hillary Rodham Clinton, who was Arkansas' First Lady at the time, held one of the statewide meetings here regarding educational improvements. After a few years of neglect in the late 1990’s, the building was torn down by prison labor.